I have finished another kindle book which is for those who don’t have Microsoft Word and yet still want to be able to write a kindle book. Open Office is free to download and therefore many people now use that software. I certainly started off with Open Office and although I managed to obtain Microsoft Word fairly recently I have to admit that I still prefer Open Office in many ways! 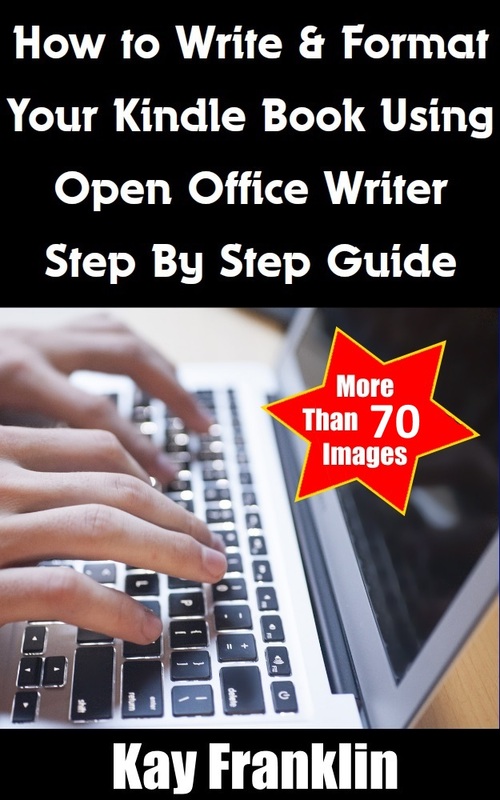 There are plenty of discussions online about the difficulty of uploading a kindle book using Open Office and yet it can be done and this book is proof!. So I decided to write a manual showing exactly how to do this with lots of screen shots. My book is called “Kindle Publishing: How to Write & Format Your Kindle Book Using Open Office Writer” and I have used Open Office to write this book so that what you see is what you can produce yourself if you follow my advice! The truth is that you can easily use Open Office to write and publish kindle books, you just need to know how to go about it so that you produce a good quality end result. There are a few free software tools that help the process and I’ve shown you exactly how to use them in the book. I have included some before and after screen shots so that you can see for yourself the difference little tweaks make to the final look of your book. If you have put off writing your own kindle book because you don’t have Word and believe it is impossible with Open Office then grab my book and you’ll be able to start publishing your own kindles – visit Amazon here.